Preheat oven to 350 degrees. Heat olive oil in large skillet over medium-high heat. Add onion, carrot, oregano and garlic. Sauté for 2 minutes; cool slightly. Combine in a large bowl with 1/2 cup ketchup and remaining ingredients (except topper). Using an ice cream scoop, spoon mixture into approximately 22 muffin cups coated with cooking spray. Using the back of the ice cream scoop, flatten the meat mixture slightly in each cup. 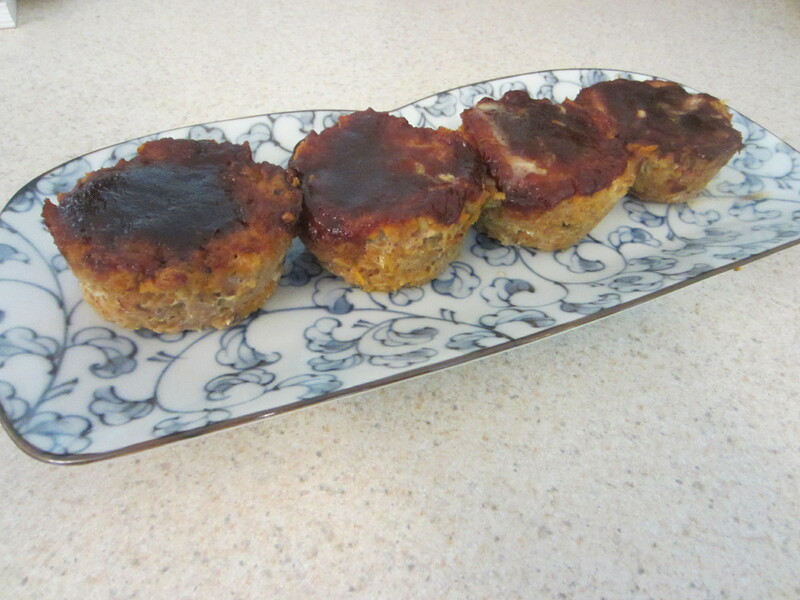 Top each with 2-3 teaspoons ketchup/BBQ sauce/salsa topper blend. 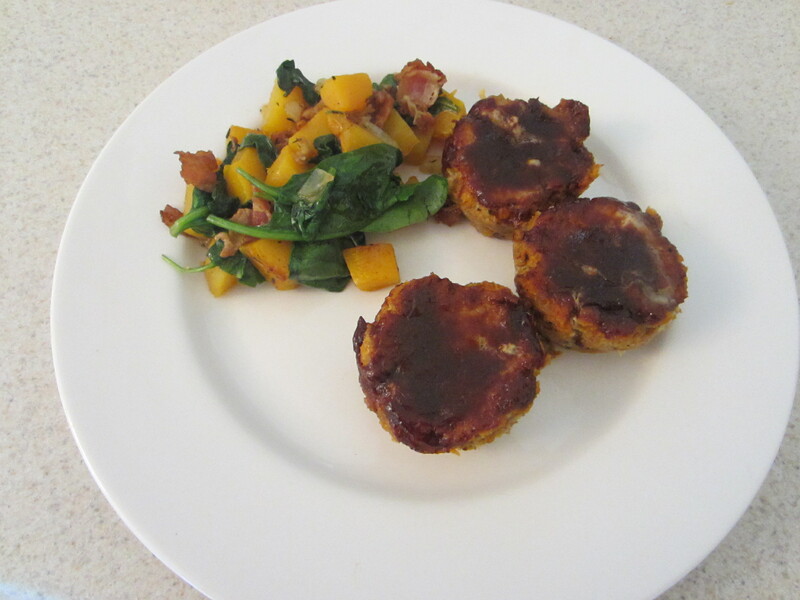 Bake at 350 degrees for 25 minutes or until muffins are 160 degrees. Let stand 5 minutes. 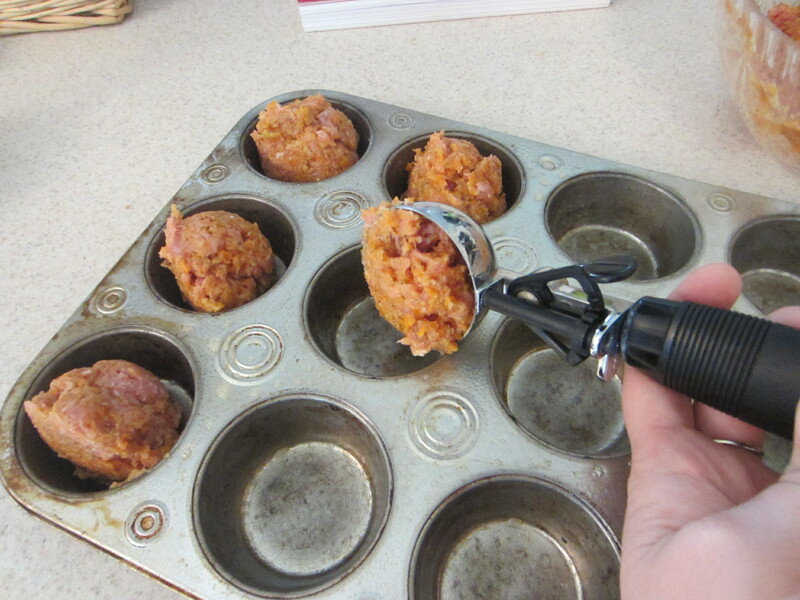 Use a dull butter knife to help release meatloaf muffins from tins.